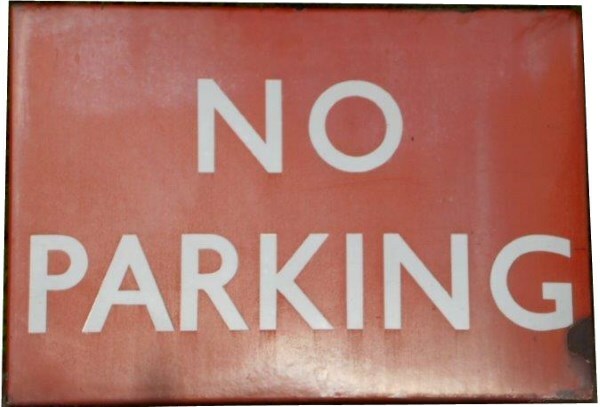 Lot 131 BR (NE) Flat Enamel Station Sign "NO PARKING". Good condition. Size 36" x 25".